As you know, around here we love all things buffalo! 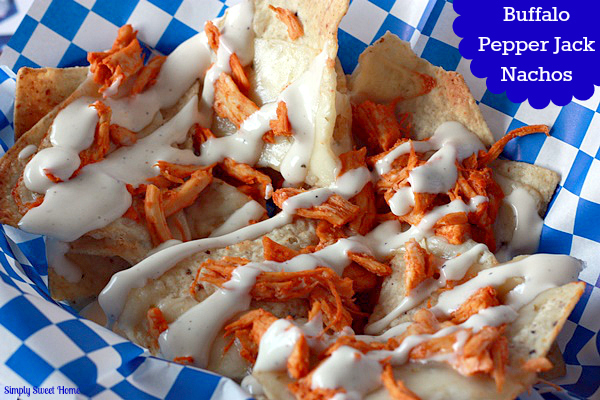 This week I’m sharing one of my recent inventions: Buffalo Chicken & Rice! This recipe is based on the Buffalo Potato Casserole I shared a while back. Both are deliciously good, comfort food meals with a kick! Directions: Cook rice on stove top according to package directions. Heat oven to 375. Spray 13×9 inch baking dish with cooking spray. In a large bowl stir dressing, soup, 1/2 cup cheese, cooked rice, and 1/4 cup of buffalo sauce. Pour mixture into baking dish. In same bowl, place chicken strips and 1/4 cup of buffalo sauce (use more if needed). Coat each strip with sauce. Then spoon chicken and sauce over the rice mixture. Cover with foil and bake for 30 minutes. Take out and remove foil. Top with 1 cup of cheese. Bake uncovered for another 30 minutes or until chicken is done. *Optional – Serve additional ranch on the side or atop rice. 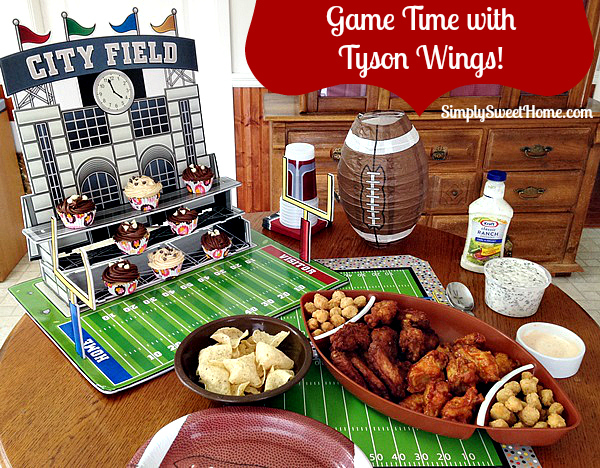 With football season in full swing, this week I’ve decided to share one of our favorite dips for football snacking. 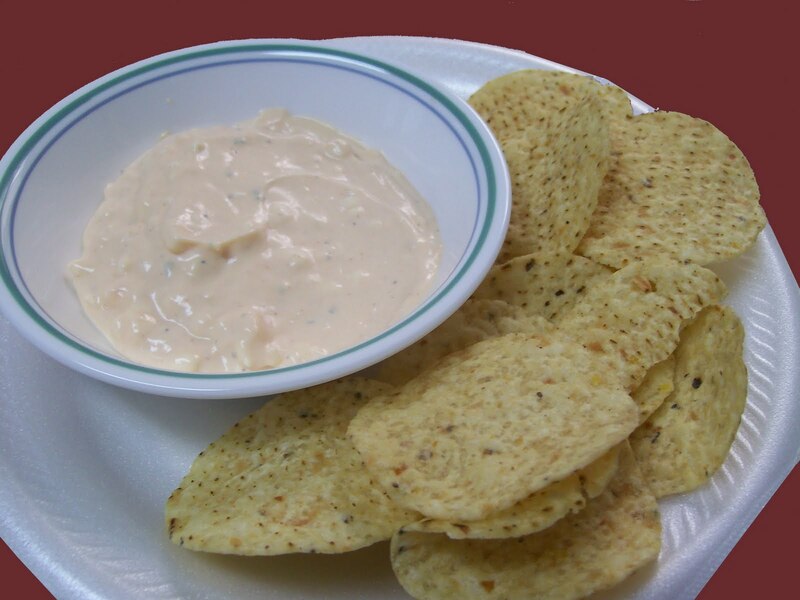 I first made this dip for the 2008 Super Bowl, and at that time I served it cold. It wasn’t until the last couple of times I made it, that I decided to heat it in the microwave. And I have to say that we enjoy it either way. And you can also bake it in the oven if your prefer. So it’s a very versatile and tasty treat, and it’s also fast and convenient! Enjoy! Directions: In a Pyrex bowl or 8×8 casserole dish, combine cream cheese (softened) with hot sauce until well blended. Take canned chicken and drain off the juice. Then use a fork to break up the chunks into shreds. (If you prefer, you may also use a cup of freshly cooked chicken, shredded.) Fold chicken and 1/2 cup to 1 cup of shredded cheddar cheese into cream cheese mixture. After the dip is well blended, top with 1/2 cup of cheddar cheese. At this point you can serve the dip cold if desired. Or for hot dip, place in microwave for 3-5 minutes (or until heated throughout) OR bake at 350 for 20-25 minutes.